As illustrated in the figure, the project is organized in 5 scientific/technical Workpackages. WP 1 will provide the theoretical foundations which will be refined by the partial outputs of WPs 2, 3 and 4 in order to ensure its applicability in real-world scenarios. This will feed into the evaluation, assessment and demonstration of results in WP5. Additionally, there is a feedback process from WPs 2, 3 and 4 to theoretical foundations of WP 1. 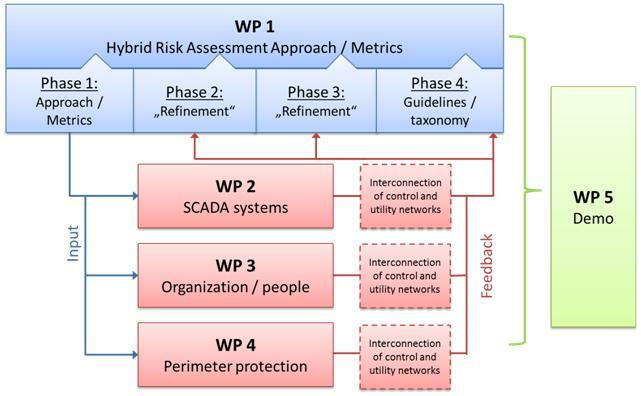 This ensures that the theoretical framework of WP1 can be adopted if necessary using insights coming from the realworld scenarios of WPs 2, 3 and 4.